Disclaimer: I was given tickets for review purposes. No other compensation was given, all opinions are my own. 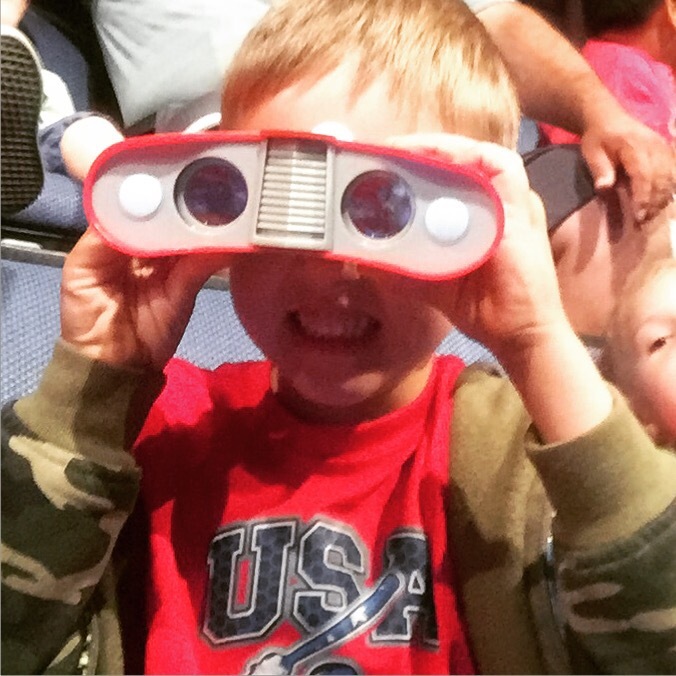 I took Wonder Boy to see Marvel Universe Live! At the Citizens Business Bank Arena in Ontario this last weekend. I didn’t tell him where we were going on our little ‘date’ but once he saw where we were he was excited! We grabbed a pair of binoculars as a souvenir and sat high above the stage. The high seats were actually fun since you could kind of see characters preparing to drop from the ceiling in all their Viking god glory. You guys, this is a must see show if you are a fan of superheroes, Marvel, The Avengers or Agents of SHIELD. They use projections onto the floor and up the wall to simulate locations, traveling… Here we were flying over NY. And the motorcycle stunt work was impressive. I’ll just leave it like that. Here is how they approached a battle at Lady Liberty – first the outside, then the outside, back and forth. I made him take a touristy picture in front of a sign, so he made me take one too. This show was pretty loud for my tender-eared kid, so I wouldn’t being very small children. There’s violence, and a couple of the villans can look pretty scary. But my son ( while holding his hands over his ears a lot) loved it, and waved passionately to Spiderman from high above.